Today is MLK Day, a celebration of social justice and a day to reprise the leadership and selflessness of Martin Luther King. A tenet of social justice is hunger: Our society's responsibility to feed those in need. Central to such efforts in our community is the Yolo Food Bank. We have had the honor, at the request of Repower homeowners, of donating more than $12,000 to Yolo Food Bank over the past few years. We are fortunate to do so and the Food Bank does not disappoint: For every $1 donated, YFB provisions three meals. Amazing. 1. Why does YFB exist? The Yolo Food Bank exists to ensure that the people of Yolo County not only have enough food to eat, but enough nutritious, culturally appropriate food to feed their families. YFB is the largest hunger-relief organization in Yolo County and the only organization with the infrastructure in place to receive, sort, store and distribute millions of pounds of food annually to more than 36,000 food insecure people. In 2017, YFB partnered with over thirty Yolo County Farms to provide more fresh produce to clients. Over 4.25M pounds of food were distributed and more than 1M pounds was fresh produce. 3. Share a YFB story. The Walmart Foundation started a Grocery Recovery Program and YFB applied for a grant seeing that Yolo Food Bank wasn't very involved in grocery recovery outside of major distributors. 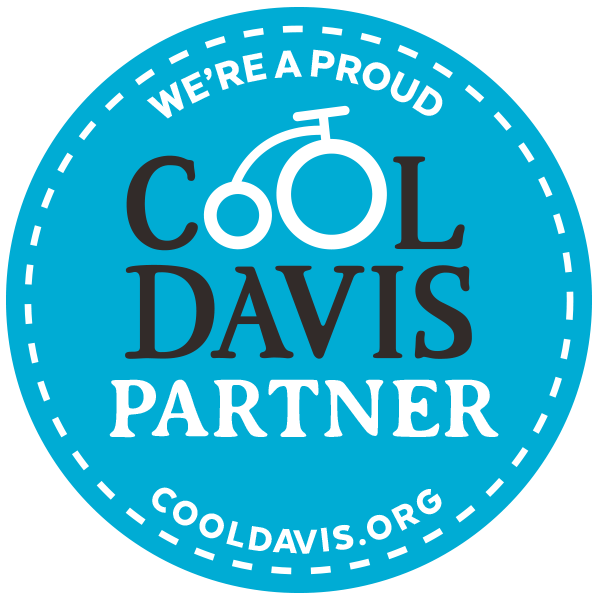 We were awarded a $25,000 grant and used that funding to outfit our partner agencies with items like hand trucks, coolers, scales, refrigerators so they may better handle perishable foods. We then paired them with grocery stores, markets, and other food retailers in Yolo County so that they pick up on a weekly/bimonthly schedule and receive grocery store items directly from the donor, saving the agency money on purchasing items, and enabling them to provide grocery items for their clients that are harder to come by. By strengthening our partners, we have enabled them to become more self-reliant and better able to serve the needs of their clients. 4. How can people help (monetarily, personally, professionally)? Yolo Food Bank encourages our community to help in many different ways. Monetary donations are highly sought after since they allow us the flexibility to spend on our most urgent operational needs. Secondly, volunteering is always encouraged. Yolo Food Bank has volunteers who have been with us for over 5 years and volunteers who come on special occasions once a year. We appreciate any and every volunteer that come through our doors. Yolo Food Bank has very flexible volunteer opportunities. We encourage everyone to submit a volunteer application that you can find online at www.yolofoodbank.org/givetime. Community members can volunteer for harvest events throughout the summer. 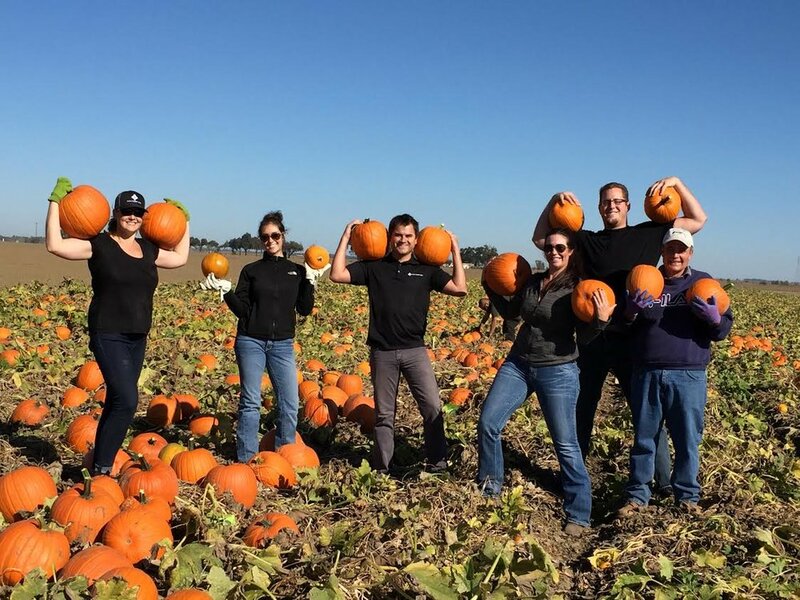 When we do not have enough volunteers, we have no choice but to leave crops in the field, crops that would otherwise be distributed to families in need in Yolo County. 5. The Campaign to End Hunger in Yolo County … overview and update? Yolo Food Bank is engaged in a $6M capital campaign to repurpose an industrial building they own into the food bank of the future. When completed, this new facility will increase its dry storage by 2.5 times from our current capacity. A new cold storage facility will handle 8-fold what we currently store and will have multiple temperature zones. At the heart of this new facility will be a commercial kitchen where food will be preserved, processed and repurposed into value-added food products for our programs and a culinary academy, where students will take accredited courses in the culinary arts. The campaign has raised $4.5M in cash and pledges so far and continues to seek out investors to help the Food Bank reach its goal. Construction has begun with the goal of occupying the building in August of 2018. Please join us and help Yolo -- and the Yolo Food Bank -- shine. Older PostDoes solar increase my home’s value?